"...I hope you've got him locked up tight. I hear he's worth quite a bit." When Disney purchased LucasFilm, there was a lot of speculation as to what would happen to all the Star Wars licenses everywhere. 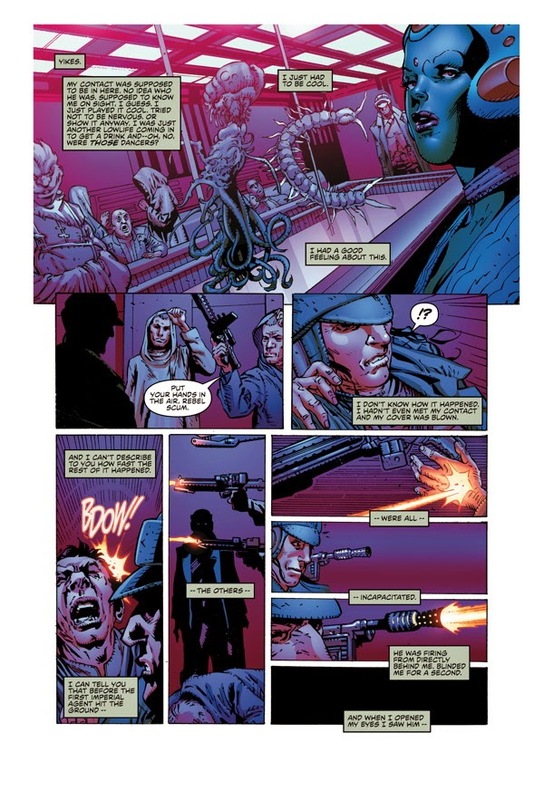 One of those licensees was Dark Horse, who published a slew of books within that universe. Their run is about to come to an end with the property as Marvel picks it up, but they've got a few more books up their sleeve before then. 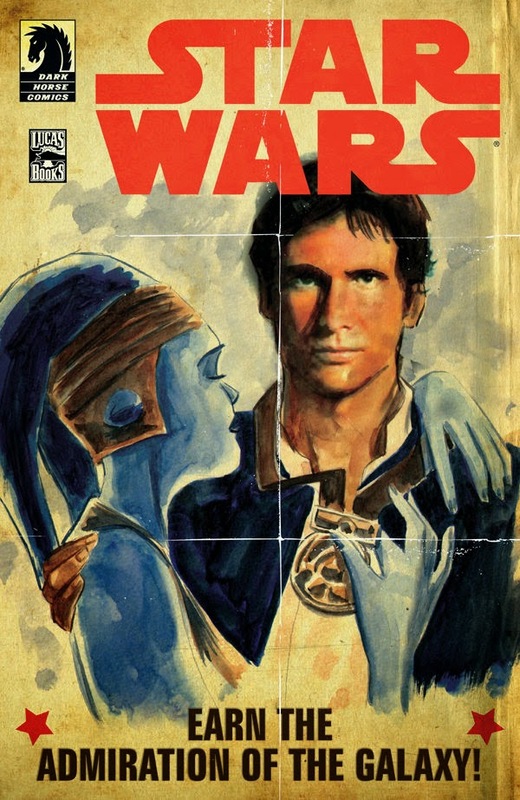 Star Wars: Rebel Heist #1 is one of the last Star Wars books Dark Horse will publish, but it's pretty promising. The issue is written by Matt Kindt, illustrated by Marco Castiello, inked by Dan Parsons and colored by Gabe Eltaeb. A young rebel is on a mission to meet someone, who just so happens to be Han Solo. The rebel is, of course, taken aback and mystified by the man in front of him known to many as a legend. That reverence only goes so far though, as the young rebel quickly discovers that Han is seemingly a lot more sizzle than steak. A couple of chases and a botched escape later, things aren't exactly looking up for the legendary pilot of the Millenium Falcon. 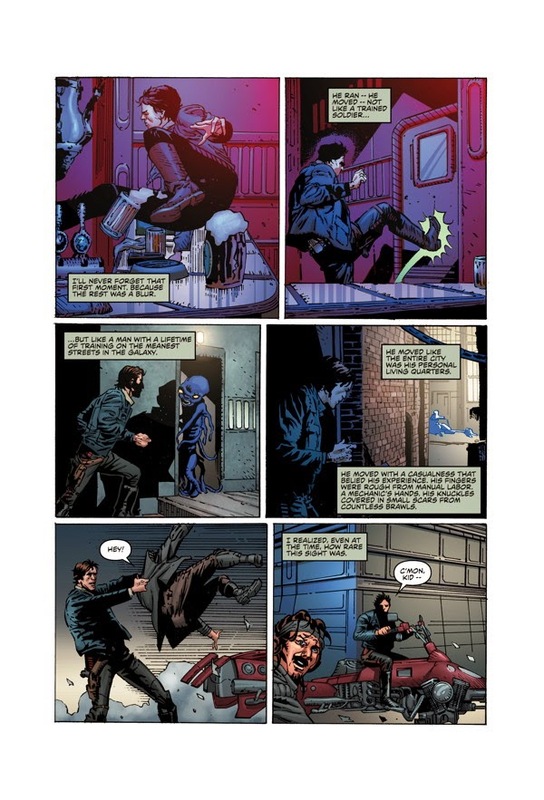 Han Solo is one of (if not the most) the most recognizable characters from the Star Wars universe and Kindt really nails is in Star Wars: Rebel Heist #1. The book is told from the perspective the young rebel and it's fun to see his view of Han move from near deification to what's almost embarrassment. Han certainly has a panache about him that seems to be fun for about five minutes, but then quickly puts the two of them in danger. Kindt spins it in a way that both the rebel and the reader aren't entirely sure as to whether or not the real Han is on display. 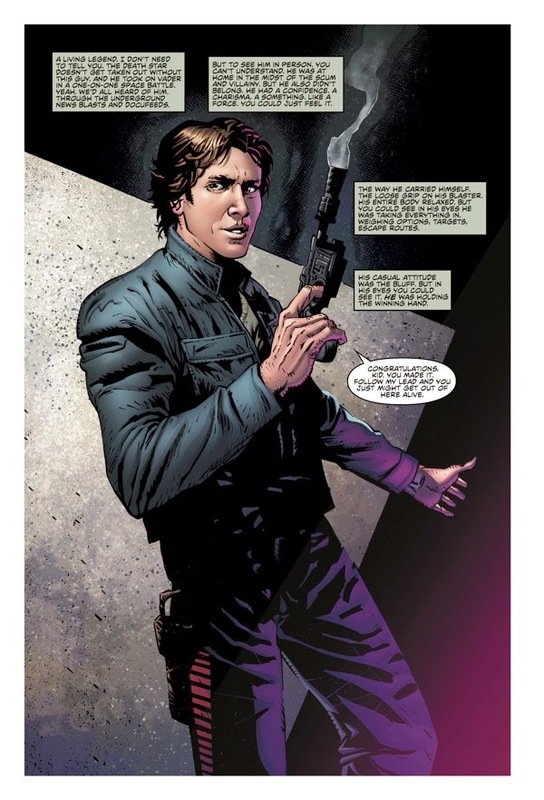 Readers have the advantage of knowing much more about Han as a character and are likely to trust he knows what he's doing, but it's still a rather interesting character dynamic to showcase. The Star Wars galaxy is rife with a variety of life forms and Castiello does a great job tapping into that familiar style. Han looks very close to Harrison Ford's portrayal of him in the movies, even when he's fighting his way through a bar or speeding away to safety. The distance that Han is shown from the reader really puts the story in the rebel's perspective and as a reader you feel like you're right beside the rebel observing. It's a really powerful style that further bolsters the style of the book, even if some of the character details from certain distances is a little muddled. Star Wars: Rebel Heist #1 seeks to revisit some of the property's most famous characters, starting with Han. Kindt characterizes him as no less than the daring, swashbuckling freighter pilot than he is, giving readers all the flair that comes with his approach to life. 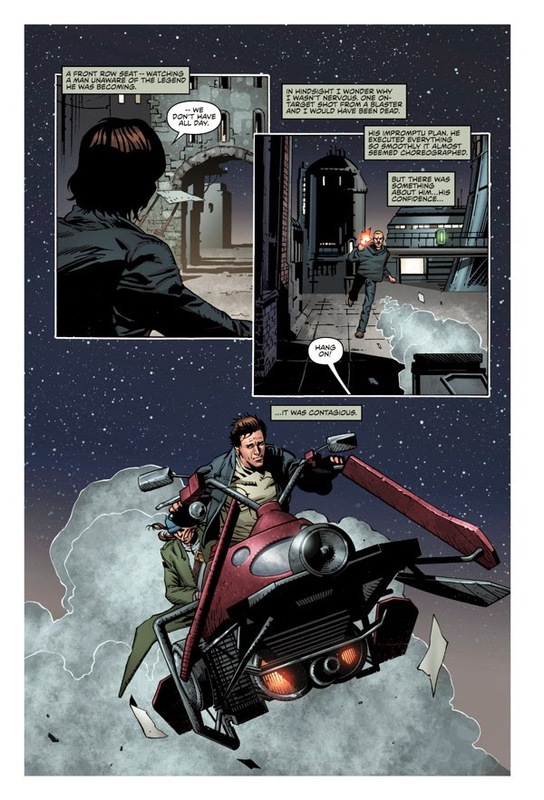 Castiello further cements this image in his portrayal of Han, giving him lots of combat prowess and showing him piloting quite a few different vehicles. There's almost a false sense of danger in the book, as the reader likely expects Han has something up his sleeve to get out of the current predicament. In the meantime though, Star Wars: Rebel Heist #1 is really a lot of fun and gives readers some time with one of the best pilots in the galaxy. Star Wars: Rebel Heist #1 is in stores now with interiors below.